2006 Nature（英语：Nature (TV series)） Narrator Episode: "Christmas in Yellowstone"
2014 《天蠍》 Henrietta "Hetty" Lange Episode: "True Colors"
^ Linda Hunt. Hollywood.com. （原始内容存档于2007-04-20）. ^ Worrell, Denise; Clarke, Gerald. The Night off the Great Prom. 《时代》周刊. 1984年4月23日. ^ Linda Hunt – Awards. IMDb. ^ Linda Hunt Biography. filmreference.com. [2010-12-12]. ^ Family for Linda Hunt. Turner Classic Movies. [2017-12-18]. ^ Hanson, Byron. From the Archives with Byron Hanson: February 2010. Interlochen Center for the Arts. [2011-07-03]. ^ Lacob, Jace. The Cult of Linda Hunt. The Daily Beast. 2011-09-26 [2011-11-03]. ^ The Theatre School: History. DePaul University. [2011-07-03]. （原始内容存档于2011-07-19）. ^ Linda Hunt Biography, Celebrity Facts and Awards. TV Guide. [2018-07-22]. 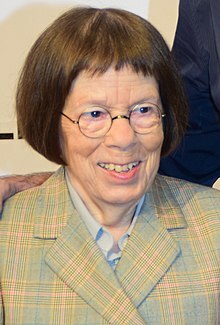 ^ 12.0 12.1 Linda Hunt. Fatctoidz. [2011-11-02]. ^ Ocamb, Karen. WeHo Marriages Go On. The BILERICO Project. 2008-08-10. ^ Linda Hunt – Biography. IMDb. ^ Ocamb, Karen. WeHo Marriages Go On. The BILERICO Project. 2008-08-10 [2011-10-13]. ^ Keveney, Bill. Linda Hunt: A 4-foot-9 force of nature on 'NCIS: LA'. USA Today. 2010-11-15 [2013-06-17]. ^ Acclaimed Ambassadors – Linda Hunt. Best Friends Animal Society. [2011-11-02]. （原始内容存档于2011-10-22）.